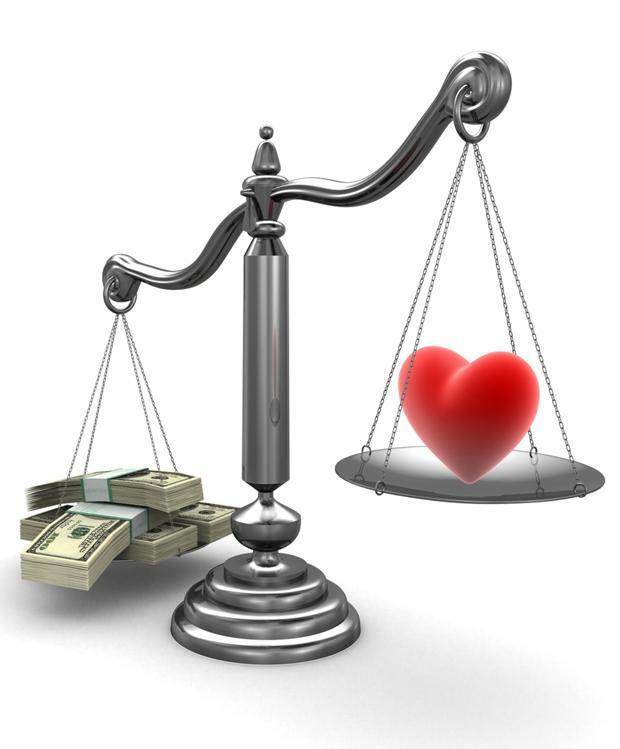 What makes the world go round - money or love? Traditionally, men have been breadwinners and women homemakers. But in a day & age where both men and women are in high profile jobs, earning accordingly, does it make a difference who is earning more money? Surely, it’s love, not money, that makes the world go round? This certainly rings true for some high-earning women. When searching for a partner, his salary is low down on the criteria list and almost irrelevant if he is otherwise compatible. It’s more important to these women that their partner is in a job he enjoys, or is making a difference to society, whilst managing his personal finances effectively. However, the longevity of these types of relationships are dependent on a number of factors. It’s essential that the woman does not make the man feel inadequate, by continuously making reference to the income disparity, especially during arguments! Most importantly, the man in question has to be self-assured and secure within himself. Without this self-value, it is difficult for the relationship to survive. And perhaps debatably, in their genetic make-up, all men are at some level proud, which can lead to problems. If insecurities do start creeping in, men can feel emasculated by not being able to fulfil their ‘traditional role’. This can lead to withdrawal, tension and arguments, resulting in a break-down in the relationship. At the height of love, many of us have our heads in the clouds and it’s only once reality sets-in that we start looking at our relationships at a practical level. Arguably, it is at this point that some women may start to feel resentful for adjusting their lifestyles, having to frequently pick-up the tab and start wondering how they are going to manage should they get married and start a family. But on the other hand, if you’re otherwise in a great relationship, heading for a lifetime partnership why should it matter who earns more – what’s yours is mine, and what’s mine is yours – isn’t it? For other high-earning women, it’s right at the top of their list to find a partner that is earning the same, or more money. Many want to start a family at some point and want to have the choice to either stay at home to raise a family, or go back to work. They are also accustomed to a certain lifestyle and whilst they may be happy to make the odd compromise, they feel that they should not be made to sacrifice, or feel guilty about enjoying the fruits of their labour. This is equally true of some men, who want an equivalent earning partner, so together they can enjoy a sustainable lifestyle and provide a brighter outlook for their future family. There are some men out there who are not insecure and are thrilled by the prospect of their earning more. But for other men, they prefer to meet a partner who earns less. This validates their position within society, as they step-up to the plate and fulfil their traditional role. For some of these men, it also gives them added assurance that the woman will be more accommodating in fulfilling her traditional role of being a good wife and mother, compared to a high-flying woman. It appears that when men are earning more money than women, no one bats an eyelid. In reverse, it has an opposite effect and opens up all sorts of debates. So perhaps the real question here is not whether money or love makes the world go round, but whether we are condoning a double standard in the era of equality, or just accepting the traditional roles dictated by society? Are there any guys out there who would give up their jobs to become house husbands so the wife can go back to work if she really wanted to? ?